You're doing science with what? I didn't get much research finished during my first year as a university professor , but I did start at least one new project. This project is new and exciting and fresh! Plus, it's my first genuine foray into social science, meaning that I had to get IRB approval in order to do it and that my main collaborator on the project is a psychologist Winter Mason, at Yahoo! Research. What is this project, you say? It's The Halo: Reach Project. Yes, you read that correctly: it's a science project about a video game . Well, almost. In fact, the project is only tangentially related to the game itself. Like other scientific studies involving video games , the game is just a means to a scientific end, which in this case is to study certain types of human behavior "in the wild." In this case, we're interested in team dynamics in competitive environments, and Halo: Reach happens to be a very large-scale experimental platform about precisely that, with 688,375,259 (and counting) games and roughly 1,000,000 regular players. The scale of this data alone is interesting, but so too is the possibility of using it to learn something about the dynamics of competition . Competition between teams is not just a fundamental feature of professional sports, but also a feature of the capitalist economy, with firms being teams, as well as modern political life and perhaps even violent conflicts like civil or international wars. Despite the generality of the idea, however, it is not a forgone conclusion that the dynamics of competition with Halo: Reach will tell us anything at all about competition in these other environments. But, the joy of being a professional scientist is the joy of being able to find out. Plus, I get to enjoy the odd looks people give me when they ask the perennial question "What are you working on now?" and I reply something like "I'm studying Halo, the video game." If you play Halo: Reach, please help us out by taking the web survey. If you don't play but want to help, please help us spread the word . Which reminds me, I should blog about how that went. Another day. Which are now classified as protected speech under the 1st Amendment by the SCOTUS. In fact, most of the scientific studies about the behavior of people inside game environments (in contrast with studies about behavior outside game environments), like my good friend Nick Yee's studies of Everquest and World of Warcraft, have focused on the MMORPG world. 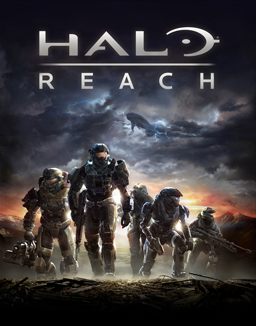 Halo: Reach can be thought of as a MMO First-Person Shooter (MMOFPS), and these have received comparatively less study. So in a sense, this is another example of a computational social science project. Subject: Scientists studying team dynamics looking for Halo: Reach volunteers. Do you play Halo: Reach? The University of Colorado at Boulder is conducting a scientific study of Halo: Reach players on team dynamics within the game. The idea is to sort out, for instance, what role training alone has on team play, what impact playing with regular teammates makes on your (and their) performance, what role age plays in playing style, etc. To answer these and other questions, they need your help. Here's how it works: you simply answer some questions about yourself (demographics) and about the way you play Halo: Reach and which gamertags you play with. The whole web survey takes about 10 minutes total. After that, if you're interested, they'll show you how your Halo: Reach service record stacks up against the universe of other Reach players.